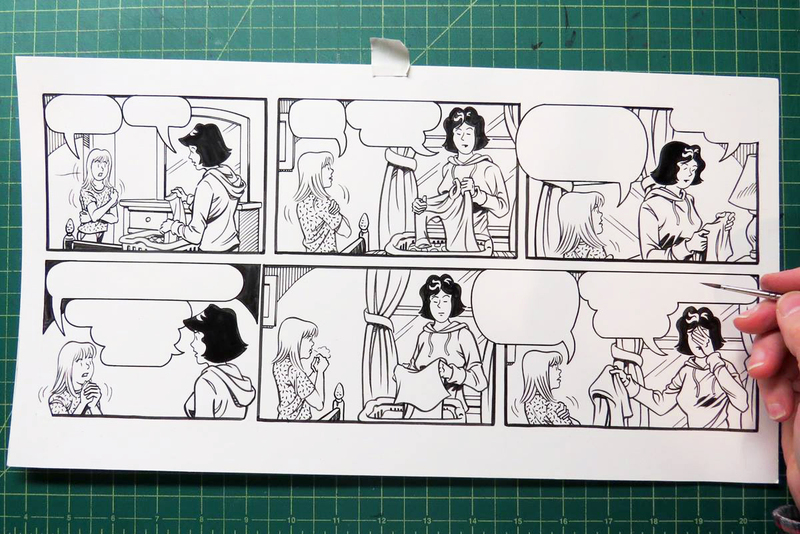 Working on pencils for an upcoming Sally Forth Sunday page. Figures are blocked in. Will take one more pass to tighten things up then on to inks. 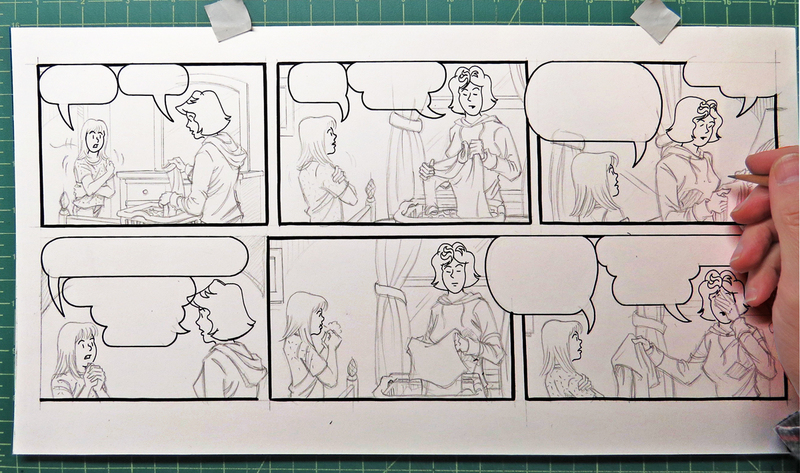 After this I scan – touch up – lay in the lettering and the drop panel – then last but not least, do up a color guide.